The serviceman was at my home the time he said he would be here. He was friendly and explained clearly the problem with my microwave. A suggestion for future service trips, prepare to remove or cover shoes/boots upon entering a home. I guess I was a little surprised at the cost of a trip to a home before cost of actual repairs. Thank you for the review. We appreciate all the feedback you have given. 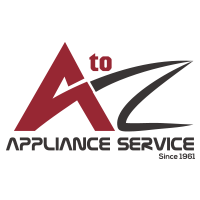 I plan to use this company for all my future appliance needs. Thank you for this review. We appreciate you taking the time to leave one. 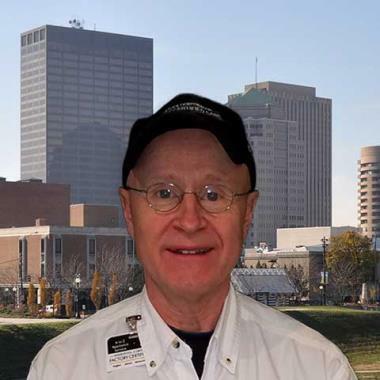 John has provided service at our home many times over the past few years. We are always grateful when we know A-Z is sending him specifically. 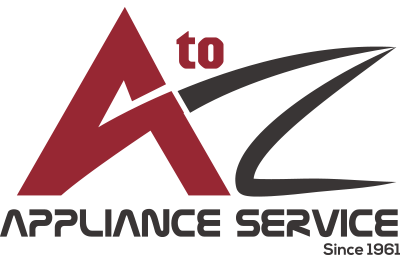 He not only provides EXCELLENT technical fixes to any and all of our appliance issues, but his customer service skills are OUTSTANDING. He treats our family and our home with incredible respect, and mostly, we truly TRUST him to enter our home which is such a priceless blessing! Thank you John! Thank you very much. John does a great job for us and he really appreciates his customers taking the time to leave reviews of his work. John was very polite and the service was quick! The technician, John, was very professional and knowledgeable. Always on time and answered all my questions. We are happy with the service. John did a great job fixing our washer, he was a great communicator. He was able to understand our situation and identify the problem. Scheduled to meet our needs. Highly knowledgable Technician. This is the third time A to Z has come out for different pieces of equipment. They diagnosed and solved problems the first time out and there have been no call backs for repeats. Thank you very much for this review. We really appreciate you taking the time to leave this for us. Had an issue with our ice maker and scheduled service. 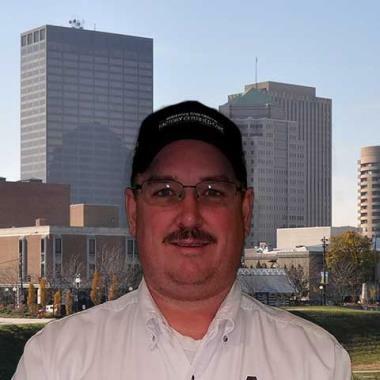 John was our technician and was not only very knowledgeable but was very friendly as well. I would highly recommend A to Z and in particular John. Great people make for a great company and he made sure he explained everything I had questions about. Thank you. John does a great job for us. Thanks for your quick repair of our Not-Even-A-Year-Old dishwasher! Price was right since it was under warranty! 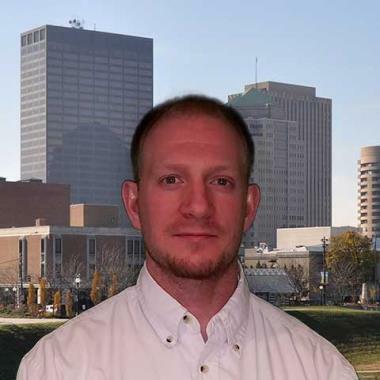 John was an excellent representative of your business! Thank you very much for this review. We appreciate you taking the time to do this. John is one of the best technicians that we have used over the years. He is the reason we call A-Z whenever we have an appliance issue. We are glad John is one of our technicians as well. Thank you for the review. Great service. John was very personable and answered all my questions. Great job, John. 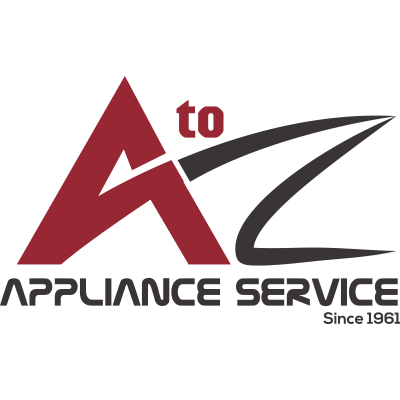 A to Z Appliance Service Sent their technician within several hours of my call...great!! John quickly Found out what needed to be done to fix my frig. and fixed it. Great experience with your co. I feel like John is my personal service guy. He's been to my house 3 different times, and he always does great work. Great service and made sure we were happy. Great help with our icemaker thanks so much!! WASHER MAYTAG MVWB835DW3 Installed — dispenser drawer. Unit checks OK.
WASHER WHIRLPOOL WTW8900BC0 "Per testing found the left hand lid hinge to be rusted out and broken, not working properly. Installed new left hinge and hinge arm. Checked for proper operation of all components, operations checks ok. Lowes Ext. Wrn; pckd up 1 W10544329 (hinge) and 1 W10842413 ( HINGE, LH)"
WASHER WHIRLPOOL WTW7300DW0 "Ran the unit thru the diagnostics cycle to check for proper operation of the unit and operation of the user interface, all operations check ok. Customer was pressing the power button to start the unit. Instructed on proper starting procedure." WASHER WHIRLPOOL WFW8740DW0 "Per testing and f9e1 error code found the drain trap clogged. Cleared the debris from the drain trap and checked for proper operation, operation checks ok. Lowes Ext. Wrn"
DISPOSAL WHIRLPOOL SPACE SAVER-P-1 "Found plat stuck and tripped overload, reset overload and freed plate, ran several cups of ice through unit, running fine with no sign of motor or bearing issues." REFRIGERATOR WHIRLPOOL WRX986SIHZ00 "Per testing according to service pointer W11218221 replaced the LED Control board. Checked for proper operation, operation checks ok. Wp wrn"
WASHER WHIRLPOOL WTW8040DW4 "Checked for proper operation of the unit in diagnostics, all operations check ok. Instructed customer on cycle settings, detergent and fabric softener usage and run the cleaning cycle regularly. Wp wrn"
REFRIGERATOR SAMSUNG n/a Unit has a leak in the supply line before the connection to the refrigerator. Needle valve for the supply line is off but water is still coming to the unit. Supply lines have rust build up in them. Recommend having the valve and supply line replaced by a plumber. M/W OTR KITCHENAID n/a "Per testing on the previous visit replaced the m/w door due to display not working. Checked for proper operation of the new door and display, operation checks ok. Wp wrn"
M/W OTR KITCHENAID n/a "Per testing found the display on the hardly illuminated but the unit is still operational. Ordering new m/w door with display included. Wp wrn; ordrng 1 W11205123 (DOOR, M/W)"
WASHER WHIRLPOOL WTW8900BC0 "Per testing on the previous visit replaced the inlet log valve. Checked operation in diagnostics, all operation checks ok. Part paid for on the previous visit." DRYER SAMSUNG DV42H5200EP/A3 Installed — element assembly. WASHER MAYTAG MVWC300XW1 Hot fill not working. NO error codes. Hot water fill checks on test cycle.Ran a normal cycle to check Hot water fill - checks OK. Went over operation with Customer. XXL FRENCH DOOR WHIRLPOOL WRF736SDAM11 Installed — water line. Unit checks OK.
DISHWASHER WHIRLPOOL WDF330PAHS1 "Per testing found the unit not getting enough water during the fill cycle. Checked for water to be on completely, removed supply line from inlet valve made sure of good water pressure to the unit and checked for debris clogging the inlet valve. All checks were ok. Reattached supply line and checked operation, unit filled properly and functioned as designed in diagnostics cycle. Wp PAD"
REFRIGERATOR KITCHENAID KRMF706ESS01 "Found ice on and along the top of the freezer door seal. Found some water in the bottom of the refrigerator under the deli drawers but not overflowing. Cleaned water out of refrigerator and checked for defrost draining properly in fresh food evaporator, all operations check ok at this time. Calibrated the unit. Wp wrn"
DISHWASHER KITCHEN AID KUDE50CXSS8 "Per testing found that the upper rack adjusters were not staying in the track due to clips not holding them in place. Replaced the adjusters and checked for proper operation, operation checks ok. WAG; pckd up 2 W10546503 (adjuster)s"
WASHER WHIRLPOOL MVWX655DW0 Per testing Gearcase is leaking oil. Quoted a gearcase W11035751. Customer chose no repair at this time. KITCHEN WHIRLPOOL W5CE3024XS00 The stainless trim is lifting at one end of the cooktop at he back. Explained to customer that this is a cosmetic issue and is no longer covered under warranty. Quoted customer for cooktop (black) - W10365154. No repair at this time. COOKTOP KITCHENAID KCED600GBL01 "Per testing found a loose wire not connected properly to the burner connector arcing out. Replaced front left burner and connected all wire securely. Checked for proper operation, all operation check ok. Wp wrn"
WASHER MAYTAG MVWX655DW1 "Ran testing per error codes f5e2 and f5e3 (lid lock error), operation of the unit checked ok. Reset the control and calibrated the unit. All operations check ok.at this time. Lowes Ext. Wrn"
DISHWASHER WHIRLPOOL DU1145XTPQA Per testing found the fill & drain circuit on the main control board shorted. Unit needs a new main electronic control - WPW10084141 . No further repair at this time. RANGE WHIRLPOOL WMH31017FB0 "Per testing found the top monitor interlock switch not working properly. Replaced the switch and checked for proper operation, operation checks ok. Lowes Ext Wrn; used 1 W10727360 (SWITCH) from stock"
DRYER MAYTAG MEDB765FW0 "Customer stated that unit was taking extra time to dry on sensor dry loads. Checked operation of the unit in both heated and air dry, operation checks ok. Recommended leaning or replacing the vent tubing (about 4 ft in length). Lowes ext. Wrn"
AUTO WASHER-27 WHIRLPOOL WTW57ESVW0 "Per testing on previous visit replaced the brake and drive tube and checked the unit for proper operation, operation checks ok. ASR"
DISHWASHER KITCHEN AID KUDE50CXSS8 "Per testing replace upper rack rails due to bearings sticking in the rail. Checked for proper operation, operation checks ok. WAG"
MW-HOOD COMBO WHIRLPOOL WMH31017FB0 Per testing the unit needs new door switches (3) W10727360. Customer chose no repair at this time.